The student staff of Recreational Sports consistently go above and beyond to serve the LU community. They're an invaluable asset to our university, and their work is vital to the future of collegiate recreation. Recreational Sports created the Most Valuable Personnel program to show our appreciation to our student staff. We thank them for their outstanding contributions and student leadership! 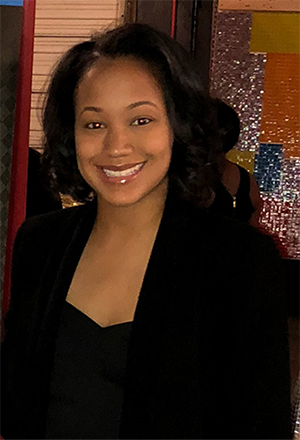 The Rec Sports Staff MVP for March 2019 is Kourtney Lewis, an Exercise Science major who will graduate Spring of 2020. Kourtney has been working for the Rec since the Fall of 2017. Lewis describes his job as, "A fun experience to meet great people and work at a place dealing with sports." He says his favorite memory is first being hired, which he states, " gave me confidence, and the process was enjoyable." This month's MVP believes that his experiences at the Rec will help him communicate better with others, and also lead by example after college. His life motto is "YOLO." Besides working for the Rec, Kourtney is also on the Lamar Cheer team, and is a part of Lamar's Pre-Physical Therapy Club. Thank you Kourtney, and keep up the great work. Congratulations! The Rec Sports Student Staff MVP for September 2018 is Alicia Jenkins, a Biology major who will graduate in May 2019. Alicia started working for the Rec in Spring 2015. Alicia cites her work with the Rec as "a growth experience." She says, "It has taught me how to communicate on all levels. It has also taught me how to be a leader." Her favorite part of her work is the end of semester lock-in for the staff members, especially the staff basketball game. Alicia says her life motto is "Do not let the opinions of others consume." On top of the leadership and communication skills she has received from her job, she also states that it has taught her "conflict resolution." Thanks Alicia, and congratulations! The Rec Sports Student Staff MVP for April 2018 is Isaiah Medina, a mechanical engineering major who also plays trumpet in the LU Band. Isaiah started working for the Rec in Summer 2017 and will graduate in 2021. 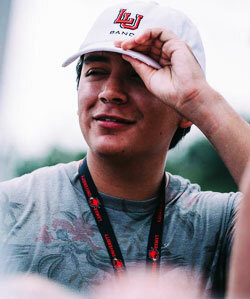 Isaiah says, “Working at Outdoor Pursuits is fun, outgoing, and very social.” After graduating, he plans to continue being an avid climber, and to land a career at Mercedes Engineering. Isaiah’s life motto is, “If you fall you fall.” His supervisor said, "He consistently comes to work always asking what else he can do to help, and goes above and beyond the call of duty.” Thanks, Isaiah! You are greatly appreciated! Recreational Sports Student Staff MVP for the month of March 2018 is our one and only Flavies Heffner. He first started working for Rec Sports in Fall 2015 and describes his job as a "fun environment to work in with great people." Mr. Heffner has done a fantastic job to ensure that the facilities are run properly, assists every patron, and works hands-on with our professional staff as well as our student staff. When we asked Flavies what his favorite memory about working for Recreational Sports, he said, "My favorite memory from my job is when I first received employee of the month. That was my first time ever achieving an award from work, and knowing that other people recognized my hard work. It made me feel great." Flavies is a Kinesiology major and will graduate Spring 2019. 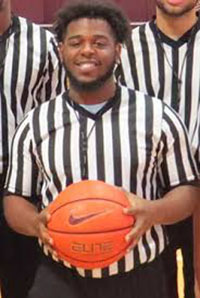 We asked how his job at the Rec will contribute to his life experience after graduation and he said, "This job requires leadership, critical thinking skills, and the ability to work independently and with others, which I think will be great for my career as an upcoming coach or as a sports doctor." In addition to being a part of Intramurals, Flavies finds time to play sports and listen to music. Also, he volunteers on campus and around the Beaumont/Houston area. He said, "I like to volunteer with kids, because kids are our future and just one second in their lives can make a difference." Flavies' life motto is "Live by hard work and dedication. I let the work speak for my character." Recreational Sports Student Staff MVP for the month of February 2018 is our one and only Chris Mouton. He first started working for Rec Sports in Fall 2017 and describes his job as a "fun environment to work in with great people." Mr. Mouton has done a fantastic job to ensure that the facilities are run properly, assists every patron, and works hands-on with our professional staff as well as our student staff. 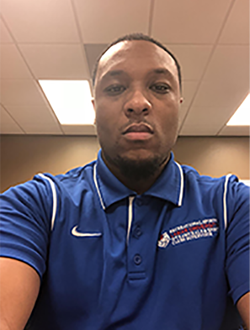 When we asked Chris what his favorite part about working for Recreational Sports, he said "My favorite part about my job is getting to play intramurals as well as getting the opportunity to officiate sports that I enjoy watching and playing." Chris is a Kinesiology major with a minor in history, and will graduate 2020. We asked how his job at the Rec will contribute to his life experience after graduation and he said "This job contributes to my life experience after graduation by prepping me with social skills in sports. It also gives me the opportunity to network with students from not only Lamar but other schools around the country at regional tournaments. My plans after graduation is to become a coach. Until I am able to get a head coaching job I will either teach PE or History. Maybe both." In addition to being a part of the Rec intramural division Chris finds time to coach little league football for the past two years. He said "Growing up I had several coaches that gave back in the community by volunteering, so in return I do the same to give back in my community." Chris spends his leisure time working out, traveling, playing football and hanging with friends and family. Chris's life motto is "Sometimes the best teacher in life is experience." Recreational Sports Student Staff MVP for the month of October 2017 is Jasmine Randolph! She first started working for Rec Sports during her first semester here at Lamar University, in the Fall of 2015. She began as a building attendant, but with a good work ethic and outstanding leadership skills she moved up to Recreational Sports Cardinal Committee Supervisor and serves on our Leadership Team as an Assistant Coordinator. During Hurricane Harvey, she stepped forward in a time of crisis to supervise the Rec Center. We were able to open up for students who had nowhere else to go, and restore a little normality to the students' lives, Jasmine, you are our Harvey Hero! Ms. Randolph has done a fantastic job to ensure that the facilities are run properly, assisting every patron, and working hands on with our professional staff as well as our student staff. When we asked Jasmine what is your favorite part about working for Recreational Sports, she said "Working at the Rec Center is an amazing on campus job. My favorite part about the Rec is the friendships and bonds I have built with my coworkers." Jasmine is a Junior majoring in Kinesiology, and will graduate Fall 2019. We asked how her job at the Rec will contribute to her life experience after graduation and she said, "My plans after graduation are to pursue my career in education. Working here at the Rec Center has allowed me to build connections, but also learn valuable transferrable skills. While being an employee I have had the opportunity of stepping out of my comfort zone and trying things I would not typically try. This job has offered promotion in which I became a Student Supervisor. Here at the Rec we have amazing Professional Staff that help guide all students in the right direction to success." In addition to being a student supervisor at the Rec Center, Jasmine still finds time to serve as President of Lamar Universities Women's Club Basketball Team and participate in Intramural's volleyball. She is also the Junior Varsity Volleyball Coach at Legacy Christian Academy here in Beaumont. During the disaster of Hurricane Harvey, she volunteered numerous hours for Red Cross, Democratic Party of Beaumont, and at surrounding churches. Our Lamar student employee is stepping into success! 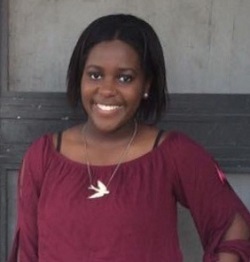 Jasmine's life motto is: "I can do all things through Christ which strengthened me. Philippians 4:13" Congratulations, Jasmine! Rec Sports' Student Staff MVP for April is Boopathy Kannan. Boopathy began working for Recreational Sports in fall 2016 after he was recruited for cricket, volleyball & soccer as an Intramural's Official. On an average day, Boopathy fulfills the officiating needs of each sport while also being an active participant of each sport, a job he finds most interesting and seems more like fun than work. There are a many aspects that make working for Recreational Sports most enjoyable for Boopathy, such as officiating soccer and interacting with fellow staff, friendly Graduate Assistants, and the Intramural Coordinator. Boopathy says working at Rec Sports and having these interactions is and will always be wonderful memories. The Rec Sports Center itself is a grand enterprise for him because he has never been in such a large facility. As an international student Boopathy is most comfortable working with many people, from co-staffs to all Superiors, and Pro Staffs alike. He states, "People are so friendly and help me out in any circumstance." Boopathy would like to give a special thanks to the staff members at Recreational Sports for giving him an opportunity as a sports official, which has helped sharpen his skills. Boopathy graduates in May of 2018 with a Masters in Computer Science. 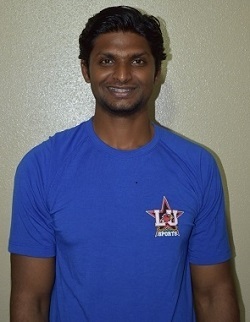 Boopathy says the level of contribution to his skills formed during his work at Rec Sports will be high as he is gaining more and more experience in each sport that can carry him to the next level in a sports career, although he is majoring in computer science. Upon graduation Boopathy would like to find a great job that suits his interests, whether that may be as a software engineer or as a senior sports official. In addition to his input with Rec Sports, Boopathy volunteers as a member of Lamar Green Squad. He loves servicing the community by encouraging and working toward a green environment. Regarding his volunteer work Boopathy says, "Having just begun building my resume, I consider this performance a first step toward my future achievements." 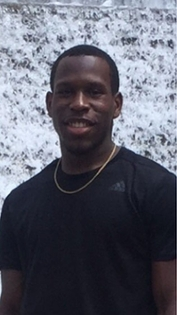 His supervisor, Coordinator of Intramural Sports Jason Harrington commends Boopathy for being involved in each event that the Intramural and Sports Club offers, attending training for multiple sports, and working various club events as well. Always available to assist, "Boopathy has picked up shifts when we didn't have the spot filled and kept us out of a jam." Boopathy says, "I am not a kind of guy who dreams about the future; I chose rather to live in the present." His motto is: Do and give your best in whatever you are up to at any moment. Congratulations, Boopathy! Recreational Sports Student Staff MVP for the month of March is Bailey Ballard, who began working for Recreational Sports in the spring of 2016. While doing a great job working in the Rec, she has really shown off her leadership skills by joining our Rec Sports Leadership Team and presenting at Lamar's 2017 Leadership Conference. Her ability to stand up and take the lead proved to us that she has what it takes to be this month's MVP. Bailey does an excellent job enhancing the patrons experience at the Rec by assisting them, answering questions, and providing clean equipment all while never letting a smile leave her face. She always makes the patrons feel welcome. Bailey said her fondest memory of working in Recreational Sports was, "when we had an employee lock in and we invited all the different departments. We grilled, made s'mores, and played a lot of games! It was fun to be able to interact with others that help the facility run so smoothly." 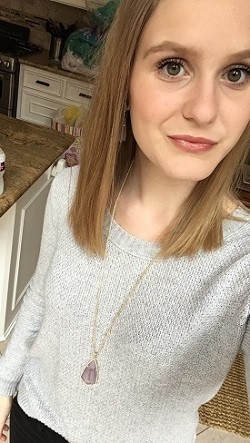 Bailey is a sophomore majoring in American Sign Language and minoring in History, and will graduate Spring 2019. We asked how her job at the Rec will contribute to her life experience after graduation and she said, "By working at the Rec I have been able to join the Leadership Committee, by doing so I had the opportunity to represent Recreation Sports at the 2017 Leadership Conference, by being a presenter. If it were not for Recreation sports, I would not have had the confidence to present and I would not have taken advantage of such a wonderful experience. Because I have a new confidence from Recreation Sports when I become a teacher, standing in front of the class will be less nerve racking." Another campus organization Bailey is involved in is the Signing Cardinals, which helps bridge the gap between hearing and Deaf students and helps to sharpen her signing skills. Bailey has enjoyed meeting new people through Signing Cardinals since August 2015. Bailey's life motto is: "Share a smile, you never know who needs it!" She says "A smile is all it takes to make someone's day better!" Congrats, Bailey! Rec Sports' Student Staff MVP for January is Cody Allen. Cody started working for Outdoor Pursuits in January 2015. In his position as an OP manager, Cody has done a spectacular job supervising the rock wall and planning adventure trips for LU students. Cody's leadership, passion, and guidance makes him a true MVP. Cody says, "Working for OP makes people a little jealous when I tell them what I do, which is help people enjoy the outdoors. My goal is to get the LU community involved in outdoor recreation, and I get to do that with the help of an extraordinary team that I now call my friends. It's hard to consider what I do at my job as 'work' because I'm doing something that I love." Cody graduates this May with a degree in Electrical Engineering. We asked him how his job at the Rec will contribute to his life experience after graduation and he said, "Outdoor Pursuits is primarily student-led, and we have a lot of freedom in our programming, which demands a lot of responsibility. This has led me to grow as a self-driven employee. I've gained confidence in my ability to work with and lead a team, and those skills will be essential in growing my career. Alongside my career, I hope to continue helping others get involved with the outdoors through local programs and churches." We know that wherever Cody goes in life, he'll be a strong leader with new, fresh ideas! 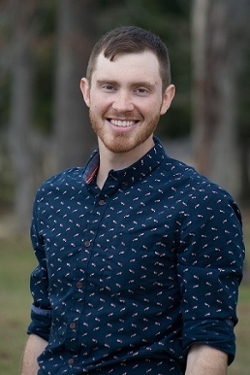 When he's not engaging LU students in adventure activities, Cody volunteers as a musician at his church - and he's been playing music for over 10 years! Last summer, he went on a 200-mile backpacking trip through the Sierra Nevada in California. Cody said, "When I'm not doing crazy stuff like, that I enjoy cycling and rock climbing." Cody's life motto is, "Anything can be an adventure. It's up to you to make it one." Congratulations, Cody!